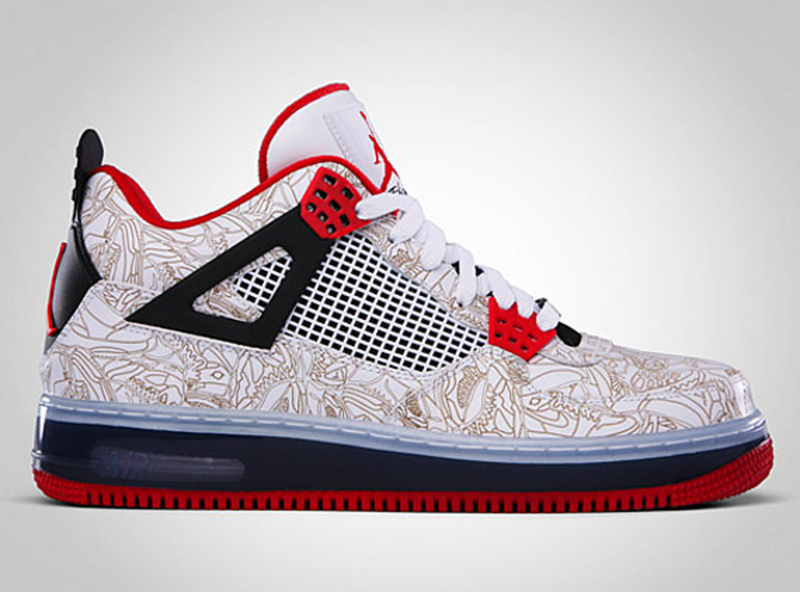 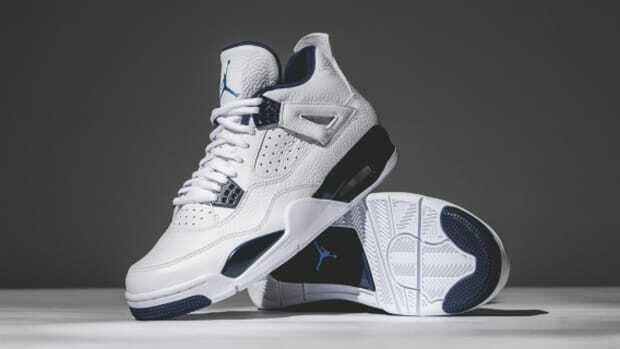 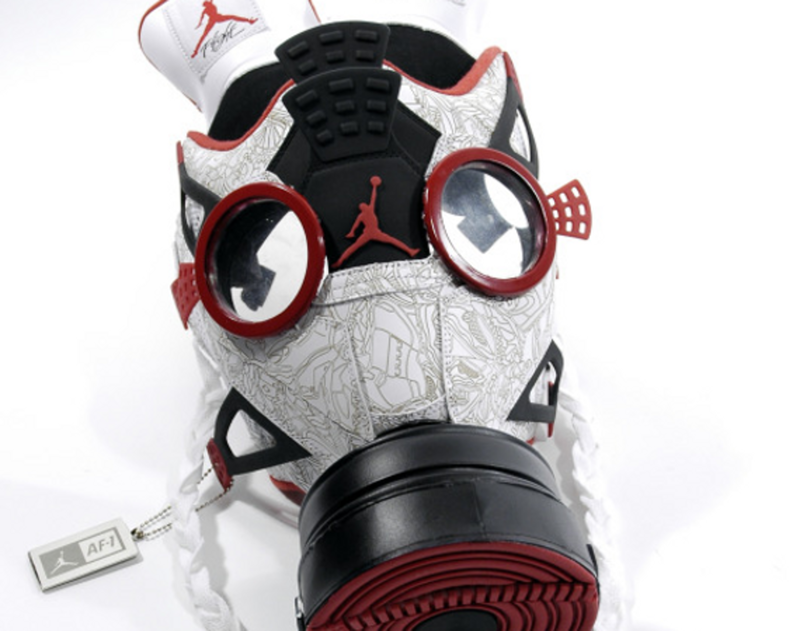 Jordans as a political statement? 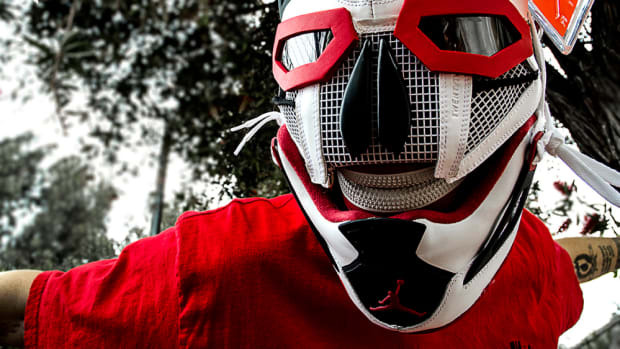 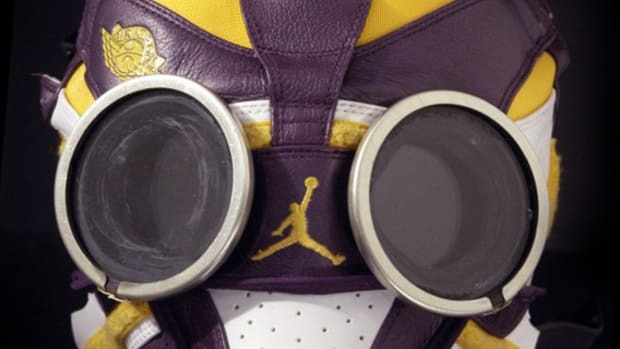 That&apos;s precisely Freehand Profit&apos;s intent in dismantling a pair of his prized Air Jordan IV Fusion Laser and transforming the parts into a wearable gas mask. 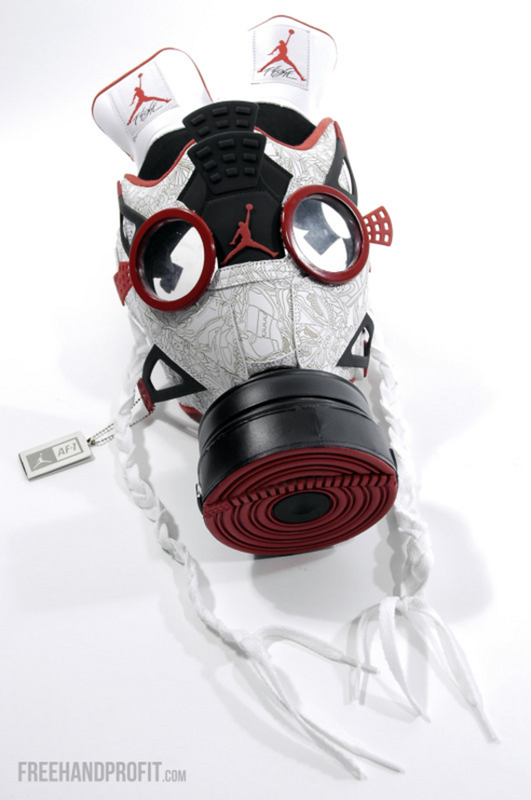 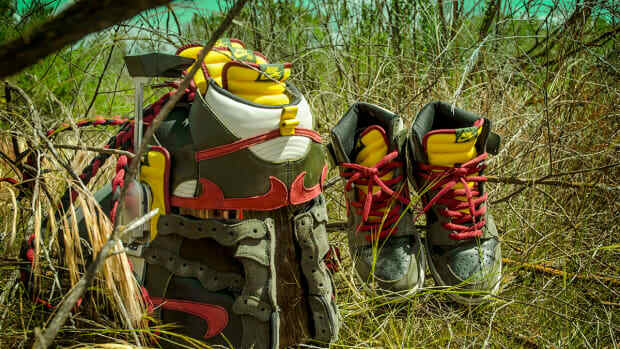 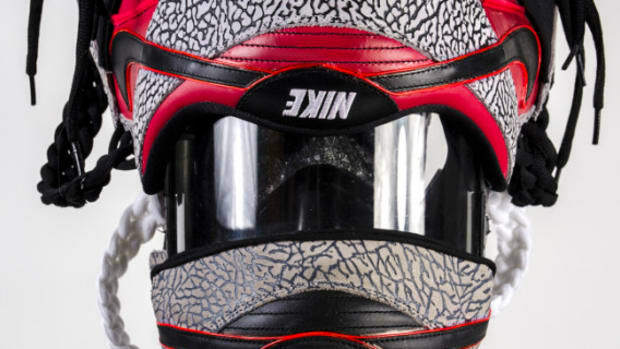 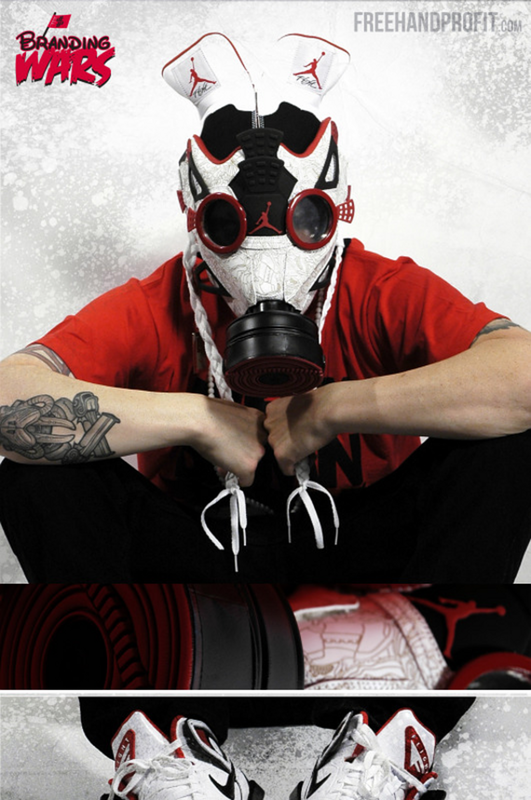 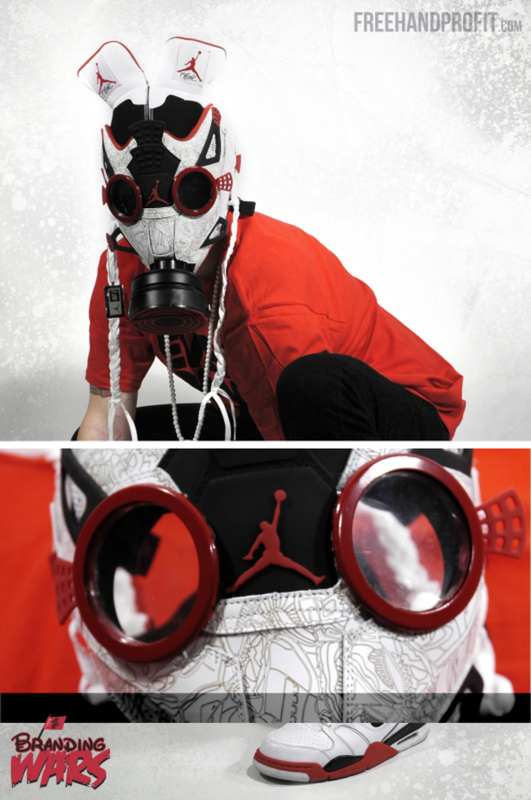 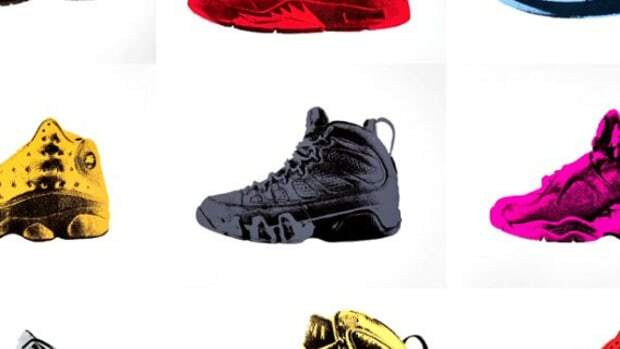 Part of his Branding Wars series, in which the artist transforms Jordan and Nike shoes as well as Gucci handbags into gas mask art pieces, the project confronts our consumerist culture (and the artist&apos;s own materialistic impulses) at the same time it reminds us that we&apos;re still a nation at war. 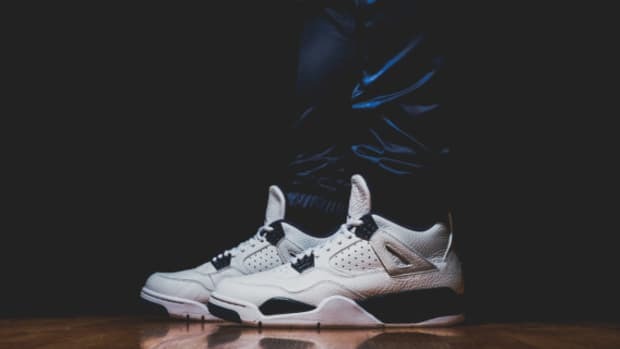 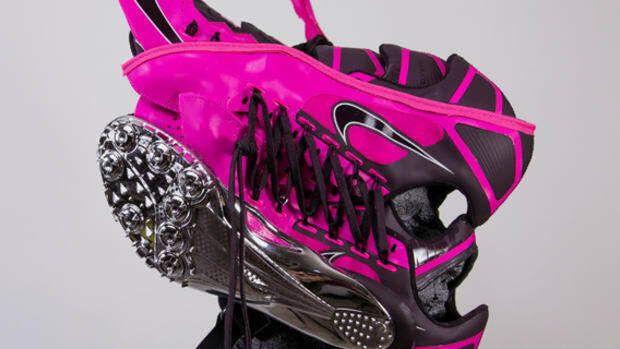 Even while we obsess over a pair of sneakers, there are men and women right now fighting over much bigger stakes. 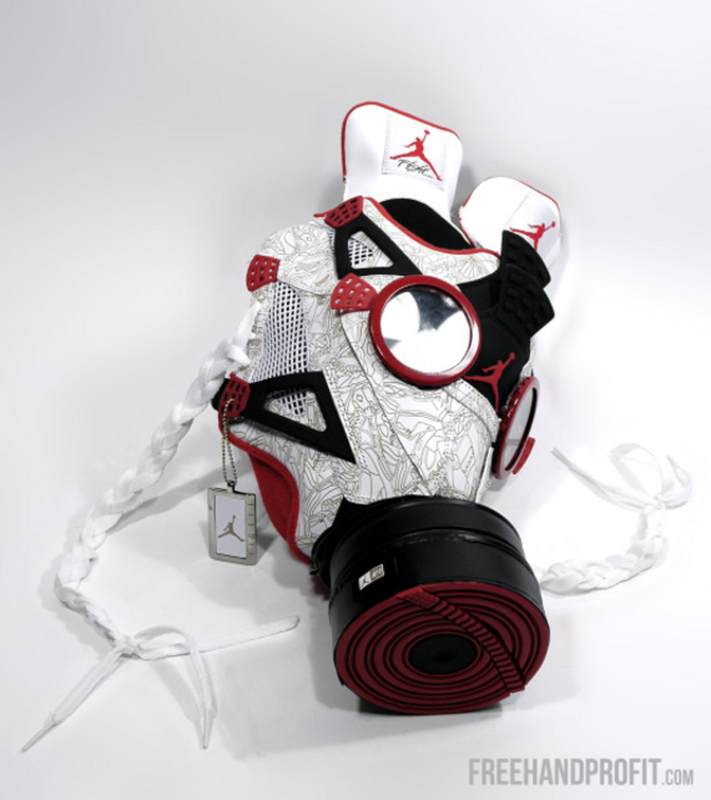 Additionally, the gas mask is a nod to the artist&apos;s background as a graffiti artist, whose weapon of choice in bombing cityscapes was a can of spray paint. 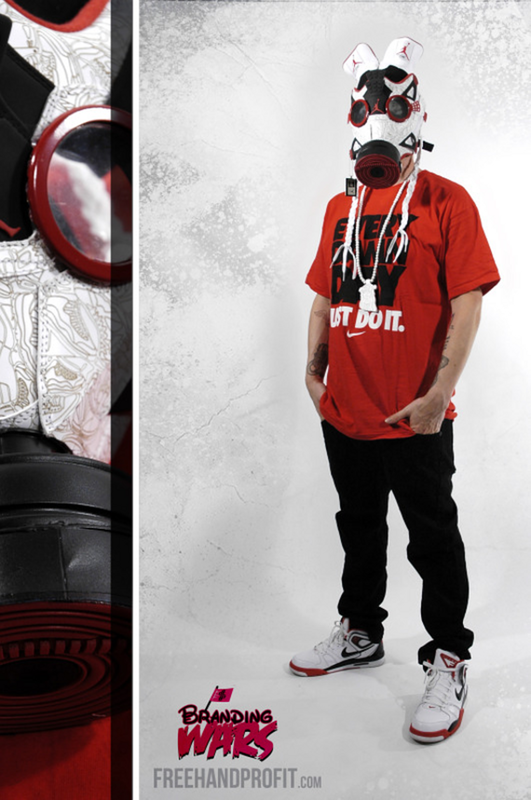 Click through for more looks.